No one gets trained on Georgia implied consent law in high school or college. The first time most citizens ever hear or consider the words “implied consent” is after their arrest for DUI, and reading through the paperwork following the arrest and booking. From reading the DDS 1205, the person knows that his or her Georgia drivers license was taken and sent to the Georgia Department of Driver Services (the GA DMV, which the state of GA calls “Georgia DDS.” For a 7-Part explanation of your DDS Georgia appeal rights, click this link. After arrest, the Georgia law enforcement officer reads you the GA implied consent law “notice” about your obligation to take a forensic test of breath, blood or urine, to create a numerical result or quantitation of what is in your bloodstream, and possibly impairing you. At stake is your GA drivers license or license from another state DMV. The first basis is for TAKING the test and having a “reading” at over the Georgia DUI limit. This is called an “administrative license suspension.” The second basis for administrative license suspension GA action is that your REFUSED testing, which is called a DUI refusal, or an “implied consent violation.” This “refusal to test” reason for an implied consent law action threatens to TOTALLY take away your right to drive for 12 full months, and is a FAR bigger threat than for drivers who took the Georgia implied consent law test that was requested by police under the provisions of OCGA 40-5-67.1. How Can I Get My GA Drivers License Back After a Georgia DUI Arrest? Pursuant to implied consent law in GA, the arresting officer is supposed to confiscate the plastic Georgia driver’s license (or license issued by another state, if the driver is licensed to drive by another DMV or DPS office). A piece of paper is issued to that driver, which is a temporary driving permit. Although the form provides for 45 days of driving, before it expires, the APPEAL or INTERLOCK “options” listed below disappear after the 30th day after your arrest. DO NOT GET CONFUSED, or treat this 30 DAYS as insignificant. 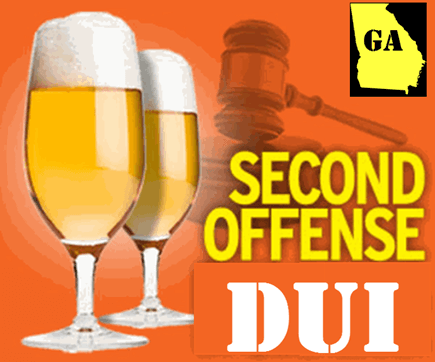 Even a 2nd DUI in GA within 5 years can pursue an administrative license suspension appeal against the GA DMV to OSAH GA. The day AFTER this license grab following a DUI GA is the FIRST day of a 30-day countdown, for the arrested driver to either ACT or fail to act, to try to salvage some type of privilege to drive, at DDS Georgia. This license suspension GA process, under implied consent, has no “grace period,” if you don’t file one of two things (if eligible for TWO) listed in the next sections. Are You Eligible for 2 Options or Only 1 Option Under GA Implied Consent Law? Georgia licensee, with your full GA license status intact, and not a limited permit of some type? 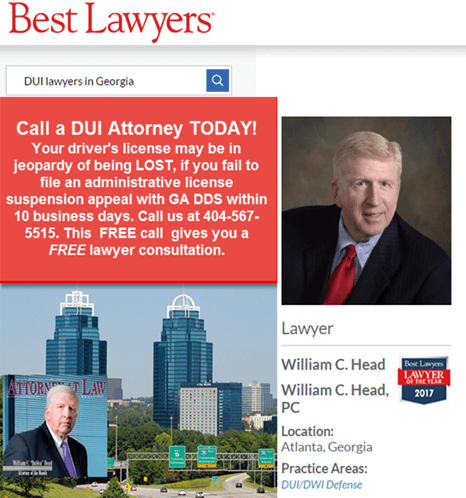 Do you have a prior conviction for DUI in Georgia in the last 5 years (looking at dates of arrest, is the way to “count” the time period between DUI cases in GA). 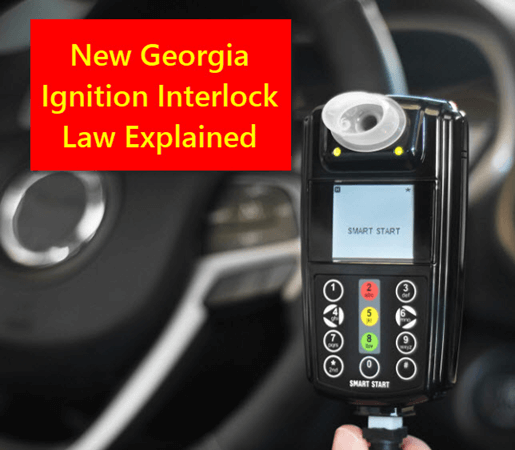 If you “qualify” as shown above, then the IID option in Georgia can be considered by you, for being able to drive on a IIDLP (ignition interlock device limited permit) that is only issued by DDS GA. Strict time limits for acting, and then installing the IID apply, so go this GA IIDLP Fact Sheet to learn those details. 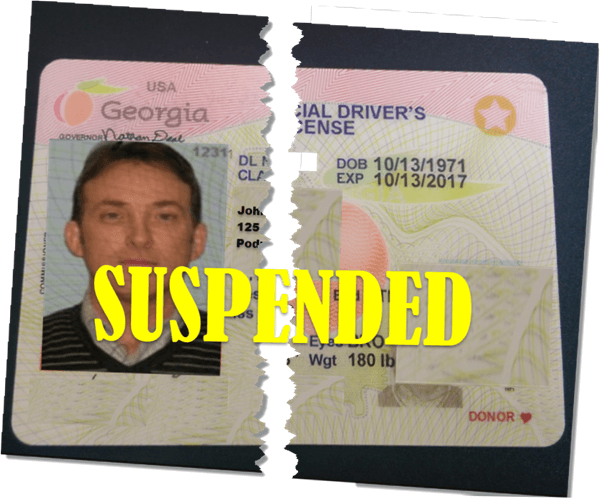 Everyone is eligible to file an administrative drivers license suspension appeal, to try to save your GA driver license, or right to drive in Georgia, for a person with a license issued by another State. This appeal, however, is determined by a much lower standard than “proof beyond a reasonable doubt,” which is the criminal law standard, for your criminal trial (if that option is taken).